The Heavy Vehicles & Construction Equipment division (HVCE) is an integrated division that includes all kinds of heavy trucks and applications, material handling equipments, earth moving & construction equipments. This division puts forward a reinforced market support strategy. With strong covering and on time support experienced sales & aftermarket team, the new division has been able to bag breakthrough deals with major construction, contracting, industrial companies, ﬂeet owners and ministries. With pride we can state that today, the division is one of the most sought after suppliers of construction / road machinery equipments and heavy - duty trucks. 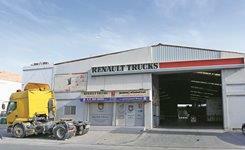 Renault trucks have a century old heritage of excellence in the French truck business. 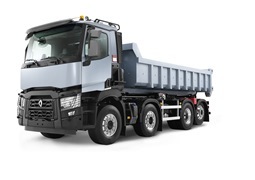 Since 2001, Renault trucks have continued to grow within the Volvo AB group and are the No. 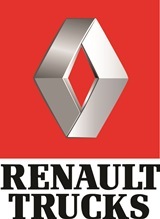 1 heavy-duty vehicle manufacturers in Europe. 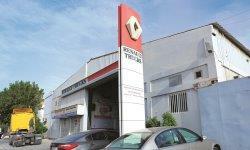 The HVCE division offers the industry of Bahrain, Renault used trucks that are sourced from Europe and adapted to regional conditions optimizing quality, availability and proﬁtability. 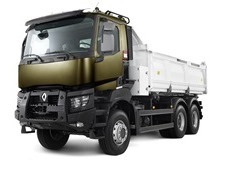 These trucks are put under 80 stringent control checkpoints, meticulously ensuring that every nut and bolt is up to the world - renowned standards, which Renault is known for. FG Wilson, a member of the Caterpillar family of companies, is a pioneer in the industry for over 45 years and a major global player in the provision of power generation solutions. 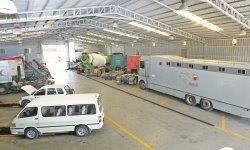 So whether it’s standby or prime, gas or diesel sets, FG Wilson has a generator solution for you. As a manufacturer of quality generator sets, it has been awarded “The Institution of Mechanical Engineers’ manufacturing excellence award 2003” and “The Institute of Directors’ (IOD) Northern Ireland Company of the Century” amongst others. Silla was founded in 1946 (after World War II). Since its inception in 1950, Silla has been producing road & construction machinery initially catering to the rebuilding of the Italian towns destroyed by the war. After 56 successful years of activity, Silla is well known in 13 countries of the European community, Africa, South America, Middle East and Far East, exporting 80% of its production. Esquire Machines Pvt. 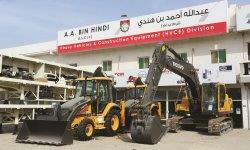 Ltd. is a leading manufacturer and exporter of quality construction equipment in India. Esquire has supplied machines to leading construction companies, builders and contractors, with excellent services and support. Established in 1975, it has put in around three decades of exemplary service to the civil construction industry and has walked into the new millennium with conﬁdence and promise. The skill and positive attitude of our constantly trained technical team, with the support and availability of regional technical support and massive Volvo AB spare parts warehousing facility in Jebel Ali ensures reducing down time of our customers. We rigorously train our sales and aftermarket team both in - house and at the main principals’ head quarters outside Bahrain. This ensures up - to - date knowledge of all our sales team to recommend you the right product and for our aftermarket team to carry out faster diagnostics and speedy repair. We treat our customers as partners, hence each of our activities are executed with utmost dedication ensuring maximum machine performance. 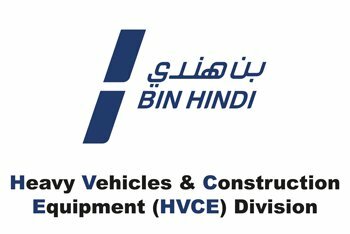 In the ﬁrst half of 2012, the A.A. Bin Hindi group joined hands with the worlds 3rd largest bus manufacturer, with one sole purpose - to simplify the transportation and construction needs of the Kingdom. Revolutionising public and commercial transportation, this move added a new chapter to the chronicles of Bahrain’s commerce and industry. 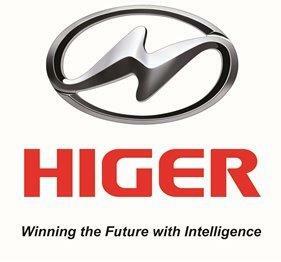 Established in 1998, in China’s world-renowned Singapore-Suzhou Industrial Park, HIGER quickly became the fastest growing bus company in China’s industry. Now 15 years later, all HIGER products are produced in a state of the art 800,000 sqm base which houses cutting edge manufacturing technology. HIGER today exports its products to 85 countries worldwide in South Asia, Middle East, Africa, Russia, East Europe and the Americas. Over the past 15 years, HIGER has earned the ISO / TS 16949 for quality management, the China Compulsory Certiﬁcate and Exemption from Inspection for Export of China. 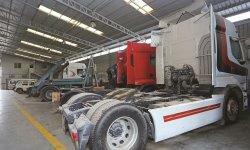 The company has fashioned 50 series and 300 models since inception. HIGER’s R&D has also been a cause for admiration the world over. They became the ﬁrst company to introduce the maverick ‘G-BOS intelligence operation system’ giving them complete control of operation management. HIGER’s product design, safety and manufacturing standards have impressed one and all. World-renowned brands like SCANIA have chosen HIGER as the global choice to manufacture their products. 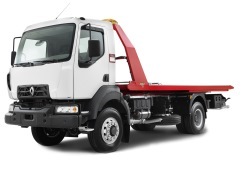 The decision for obtaining brand HIGER was a strategic move and by this, Bin Hindi Group bridged the Light commercial vehicle and large commuter transportation vehicle model deﬁcit the group had in its exciting range, catering to the ever increasing market demands. Sharing similar corporate philosophies, A.A. Bin Hindi and HIGER begin their journey of committment of providing the Kingdom and its populace a convenient environment to exhibit their talents and subsequently ‘winning the future with intelligence.